Let's play a new brain-teaser puzzle game. 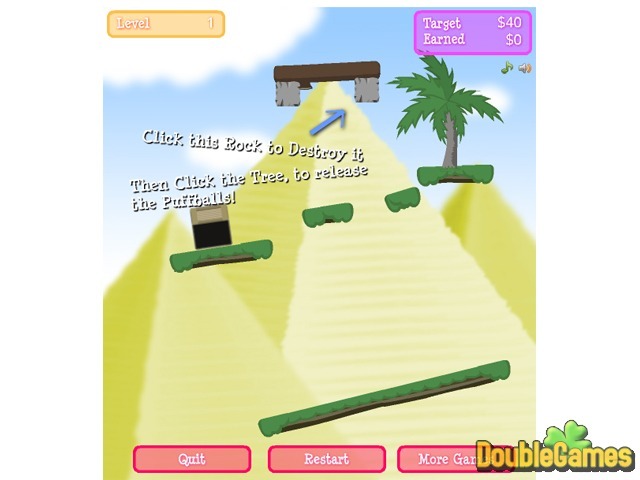 Welcome to Puffball Puzzles, entertaining online adventure for everyone with simple rules. Destroy the bricks and rocks and figure out how to get all these puffballs into your crates. Click on items to remove/add. Click on the puffball tree to spawn new puffballs. Collect all the puffballs and finish the level. Play Puffball Puzzles right now and for free. 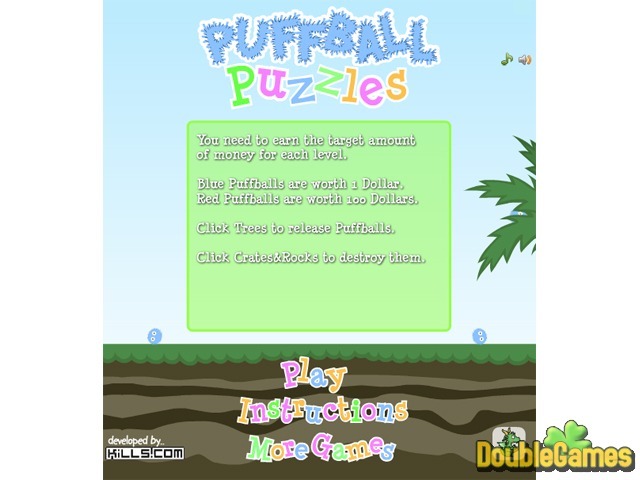 Title - Puffball Puzzles Online Game Description - Have a good time with Puffball Puzzles, a Puzzle game built up by GamesFree. Welcome to Puffball Puzzles, entertaining online adventure for everyone with simple rules.